Put the feta in a gratin dish or other small ovenproof dish that you will also serve out of. Pour the olive oil into the dish, followed by the lemon juice. 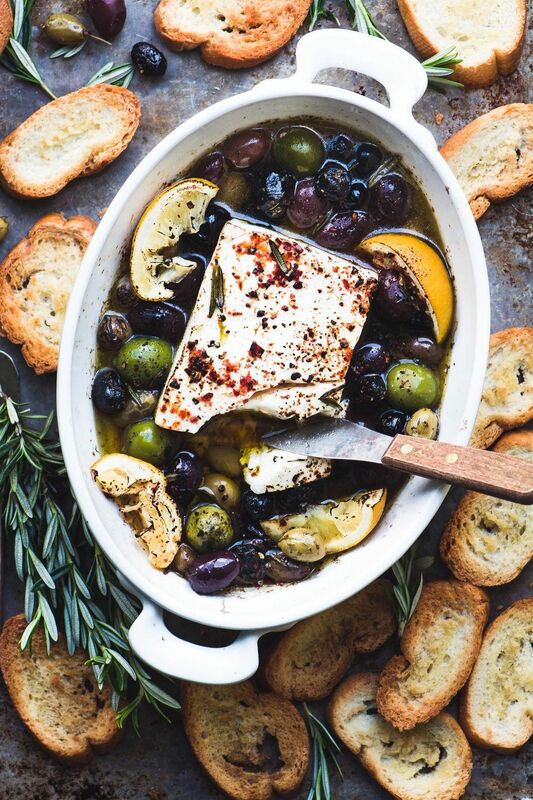 Arrange the olives around the cheese, with the rosemary. I quarter the squeezed lemon half and throw that in as well. Sprinkle the red and black pepper over all. Bake for about 20 minutes, or until hot and bubbling. I loosely laid a sheet of foil over mine. You can finish under the broiler if you like for a little charring effect.